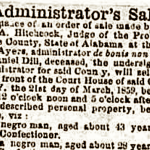 Nearly four years after Daniel Dill’s death, the estate administrator received permission from the court to sell three enslaved persons: Sam, John and Nancy. Daniel’s probate file contains the sad details. Daniel Dill’s younger brother Peter (my 4x-great-grandfather) and another brother John apparently traveled to Mobile, Alabama in February 1858 to see what was holding up the settlement of Daniel’s estate. They quickly concluded that Daniel’s friend Edwin Gould was managing the estate for his own benefit and not for the benefit of the heirs. 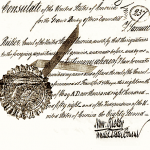 Last time, we looked at the estate administrator’s defense of his handling of the estate. 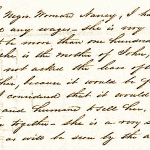 He included a detailed summary of the heirs that he had located up to that point. Two of the entries on his list were actually Daniel’s in-laws, pointing us to some new and interesting findings about the Dill family. 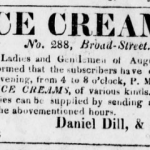 By February, 1858, Daniel Dill had been dead for nearly three years. The estate administrator, Edwin B. Gould, seemed to be in a holding pattern – hiring out Daniel’s slaves and renting out Daniel’s store – but doing little else while waiting for the real estate dispute to be resolved.